Misusing coupons is the biggest forms of coupon fraud. This article discusses coupon fraud and how you can protect yourself against it. Let’s face the facts, there have been coupon fraud arrests. Follow these coupon fraud laws. 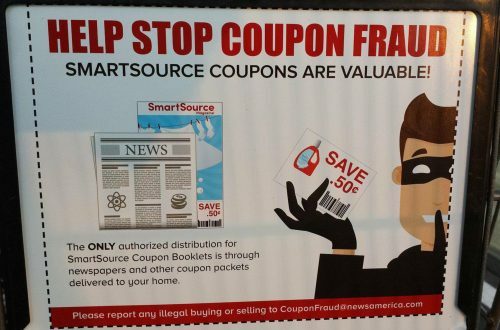 Misusing coupons is the biggest forms of coupon fraud, but did you know that you can be doing it without even knowing? 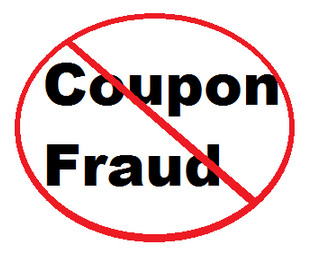 Being Aware of Coupon Fraud – Protecting Yourself is a very important factor in couponing. I know you may be trying your hardest to follow all the rules. You read the coupon, you purchase the items as stated on the coupon, follow your store’s coupon policy and check out, BUT oops you had no clue that you just committed fraud. Let’s explore what could have occurred. You can’t write an article on the extreme use of coupons without also discussing Coupon Fraud. There are lots of coupons out on the internet that isn’t “good” coupons. There are also lots of ways to misuse a coupon. Coupon fraud is a punishable offense and, while penalties vary case by case, the Coupon Information Corporation (aka, the CIC) says that the harshest convictions for this type of fraud include a 17-year prison sentence and a financial penalty of up to $5 million. Coupon Fraud is very serious. 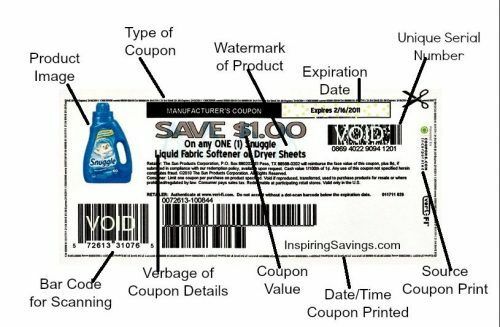 Taking coupon skills to the extreme and going so far as to end up in coupon fraud territory costs manufacturers hundreds of millions of dollars every year. And you know who is the real person paying that bill? US! Very recently, February 5th, 2019 I had the opportunity to work my local news to cover a story they want to reveal to the public. While coupon fraud is wildly known about to all couponers, most in the public are unaware that it even exists. You can see the story below. Review these simple rules to make sure you stay on the right path in couponing. It always hurts me when I see others abusing the system. Especially after hearing stores are no longer accepting select coupons or stores are no longer participating in amazing promotions due to fraud. If a coupon states “valid on 6 oz box only” then you should be purchasing that size indicated. Using your coupons for something other than the product(s) stated on the coupon is unethical and fraudulent. The verbiage on the coupon itself is very important. It tells us what products we can purchase with that coupon. Please Note; When you see a post on social media that is openly discussing and advocating coupon fraud stay far away. You may see them referring to “decoding coupon barcodes” or exploit “glitches” which allow you to use high-value coupons on lower-priced products for which they’re not intended. This is entering into the world of coupon fraud. It is frustrating to see and hear about coupon fraud often. When you are following the rules to couponing you will ALWAYS get FREE items, save BIG on groceries and NEVER have to go to jail. If your store manager has said that it is okay, you should still ask before using one on every trip to the store. Most stores DO NOT allow as stated in their coupon policy. Using a coupon past the expiration date is ONLY acceptable if you have an attached rain check that you obtained before the sale was over (and before the coupon had expired) and has been approved by the store itself. 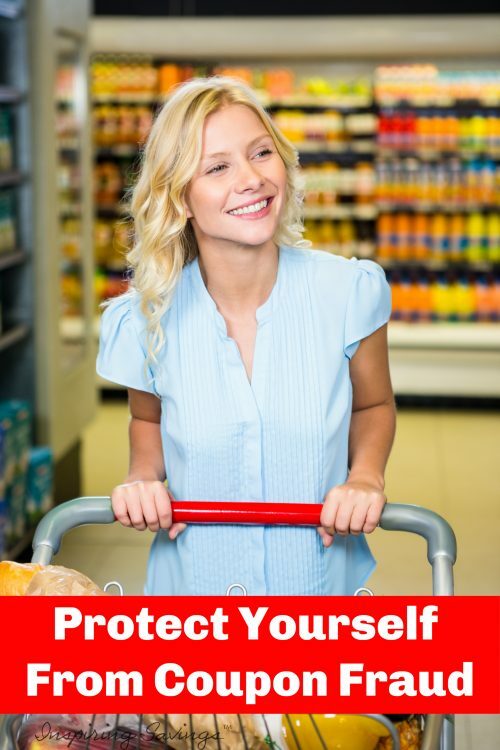 There are many security features built into printable coupons to prevent fraud. Each printed coupon is given a unique barcode. While they may scan in the grocery store – the store will never get reimbursed for them. Once scanned at the register that unique barcode is noted, the store will then be reimbursed for that item associated with that barcode. If it is copied and used and not caught the store will only get reimbursed for that first unique scan. The unique 2-D barcode on the upper right is a different number for every coupon you print, even for a second print of the same coupon. The long barcode at the bottom also has a portion of the unique 2-D barcode number in it. These barcodes are much more specific and very soon will be the barcode that is scanned in all stores! There are many coupons that are sent via email for FREE products. These emails may be sent from friends who spotted them from another email they received. These coupon emails fall into the “too good to be true category”. Keep in mind that most of these coupon emails are directly related to someone scanning in a coupon that they have received directly from a manufacturer. How do you know if the coupon that was just emailed to you is considered fraud? Check out this FULL LIST OF COUPONS THAT ARE Marked as FRAUDULENT. 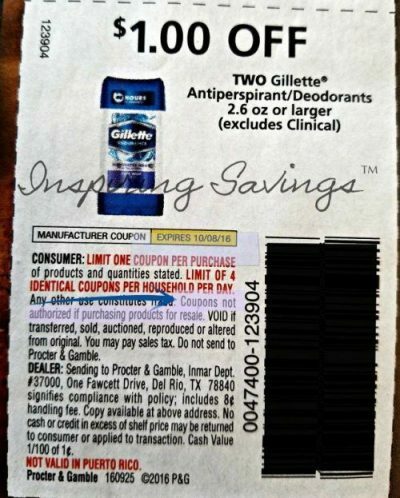 Coupons contain the verbiage found within the fine print at the bottom (see image above) that state “they cannot be used on items for resale”. It can also be stated as fraud (which is punishable by law). When I speak about coupon fraud at my grocery savings workshops, most of the people I encounter are horrified to think that people sell items they got for FREE. But it happens all the time, and it is usually for good intentions! Those who resell think that they are saving shoppers money because they pay less at their garage sale then they would pay at the grocery stores. Coupons are intended to give individual consumers a good deal, not to provide a method for people to set up mini shopping marts in their garages, yard sales or on the internet. This also might also be in violation of local health codes as well as tax code violations. It is clearly a violation to use coupons on items being purchased for resale. The bottom line is this: if you get something for free (or are paid to buy it) then give it away. Bless the socks off of someone with your donated goods. We live in a world filled with greed. Don’t be that person. Most people who commit coupon fraud will continue to do it because they have not been caught and they feel they are saving their family money. BUT in reality, they have not only committed fraud but have lost their integrity. Coupon fraud is serious business. In fact, there have been many coupon fraud arrests over the years. The cost of coupon “mis-redemption” to manufacturers annually is estimated to be over 300 million dollars. That is an incredibly large number and manufacturers are cracking down. Most of the state of Florida is no longer receiving the Red Plum Coupon insert due to misuse. Coupon Fraud is prosecuted. Meet the CIC (or Coupon Information Corporation), they prosecute coupon fraud and boast about having never lost a case since 1986. They are now working side by side with Facebook to crack down on couponing groups who are supporting misuse. Financial penalties generally vary but have often been in excess of $200,000. I have a problem I hope you can help me. Hello my name is Krysta and I worked at Family Dollar as of yesterday my store Manager fired me for coupon fraud. I have been trying to save on somethings like laundry soap and fabric softner and it is on sale in the stores for $3.95 and there are coupons out there for $2. and $3. dollars we have 9 computers that I can print coupons from so I started with mine so I tiped in tide and gain pods it poped up I clip I go back do it again see if I can find another web sight and so forth you get two copies per sight get it off the printer start clipping I have my stack I go to work I buy the stuff. I then was going to go to the next computer but I had other things to do on my two days off I go to work on Wed the 20th she asked me to bring her the coupons from register 2 so I did, she looks at them and then asked who took thease I said Cheyeene then Amber said she was going to have to talk to her, I said why she said look at them I did what they say at the top (VALID ONLY AT BJ’) oh crap then she starts adding it up 3, 6, 9, 12, etc… I said no we dont loose it I can bring it back, what she said I said yes thoes are mine they printed with all my other coupons I didnt even notice she said well we shook her head went outside I called my family asked them to bring me the stuff Amber came back inand said she had an appt she would be right back. So my family brought the stuff back ad I tried to do the right thing and returne it but it didnt subtract the coupons so now I really done wrong so I call another Manager she tells me what I have to do so I try and Amber pulls up I tell her what i Did I give her the recipts she looks at them and figuers out what she has to do does it and makes me think all is good. I have friday and sat off I work 8:30am-9:30pm on sunday so i am there working she comes in at 5:05pm takes me to the office tells me that she has got up with loss prevention and this is coupon fraud I have to fire you gather your things and leave. So is it coupon fraud if you really dont notice that it dosent say MANUFACTURER’S COUPON and it said VALID ONLY AT BJ’s? I am really sorry to hear about your job. To get straight to the point, every coupon is actually considered a contract. Each part of the coupon from the expiration date to the small fine print will validate how redemptions work. If the coupon states “valid at Bj’s” as you know it can only be redeemed at Bj’s. If used at any other store if is technically considered coupon fraud. In all honesty, the cashiers should never have accepted these coupons in the first place and should have handed them back to you. People make mistakes and sometimes you miss out on a few small words. That is why it is so important to really look over your coupons. Typically, these kinds of coupons (States “Valid Only”) based on coding will not automatically go through. With all the misuse of coupons that have been occurring with in the last few years, many retailers are taking a zero tolerance policy. Again, I am sorry and I do hope I helped explained this better. what happens to the cashiers that took the coupons? were they held responsible? Hi Jenna, All cashiers are trained. The register will not scan imposter coupons. The CIC also has set up a list of all fraudulent coupons that are circulating. That list is distributed to retailers as well. I have been contact by a cashier that was fired from her job for accepting coupons. I do not know the full details. Most stores if not all, consider coupon fraud serious! Manufactures code all coupons in such a way to prevent fraud. BUT when there are others who insist on breaking the rules, you know the saying: “where there is a will there is a way”. Hi I have a very serious question for you I work for a drugstore and I warned my manager and assistant manager that in a lot of coupons were passing through my register. my manager said to take the coupons because sales were low. one of our couponers was an extreme couponer and was returning item and they said that that was against the rules. so they wanted us to watch her meanwhile she slipped to me some coupons that did not match her order but did scan.she also tried to give me a bag full of items but I did not take the items. reported her to my manager that she was at the store and she left a package for me at the front register. now I feel I’m being watched and I think they think that I’m in on it what should I do? Thank you for your question and thank you for standing up for what it right. If you are being watched and you did nothing wrong you do not have anything to worry about. However, if you feel like there is wrongdoing occuring at your store I would reach out to someone higher than your manager. Make an appointment to meet face to face to talk. HI Steohanie!!! Thank you so much. I am glad this article has help you out tons. It really does get most couponers upset that others are commiting fraud. I don’t have this in spanish 🙁 I am sure we could figure it out. Steophanie, I had a close friend of mine over the last two days translate this article for me. Can I send you a copy next week to the email you listed on your comment? A few days ago I was taking a look at a few of the private couponing sites here on facebook to educate myself on how to help my family save money. During this I discovered people who had garages full of products that had been purchased with coupons that scanned for non related items. Examples: Using a ($6 coupon meant for a discount on 2 boxes of a $8.99 hair care products) and it was being used to purchase a pack of soap or a .99 cent bottle of dish detergent . They call this money makers. This is stealing. Some saying these are being sold. …………………………Because I shared the information without names on here to a Family Dollar employee group, asking how these people were showing cases of free stuff and bragging they cleaned out the stores I have now been harassed from some of the 42,000 members of this certain group and reported to Facebook for various reasons…. I say……. Drain the swamp…this is cheating the honest shoppers that take the time to do it right. This is stealing from Family Dollar where I work and many other companies, especially the ones with self check outs. No wonder we make minimum wage? The company worries about one of us drinking a bottle of water without paying and they have thousand of dollars walking out the door…. Another thing wrong with our country. I might be wrong but this really bothers me. Doing it to help your family with a pack of toliet paper is one thing, Cleaning out the backroom of every store in town is WRONG. I did not do this to get anyone in trouble, or see anyone fired…I wanted Family Dollar to know what was happening…… Common Sense… Do you think we could use a $6 Tylenol coupon we printed from the internet for a $1 cup of coffee at 7-11 and get change back? come on now..common sense…..Now multiply that times a million.!! WOW!!! Hi Cindy! I applaud you for being courageous and speaking up. It is a shame that others take a good thing and blow it up to a proportional size that then becomes cheating the system. Unfortunately, there are many out there. I am glad you stood up and reported them. I am sorry that they attacked you for explaining the correct way to coupon. Please do let me know if you get any follow up from Family Dollar. I am very sorry to hear this. I can not provide any legal advice regarding your situation. I can only tell you that you should seek out counsel to help. Coupon fraud is a very serious crime.